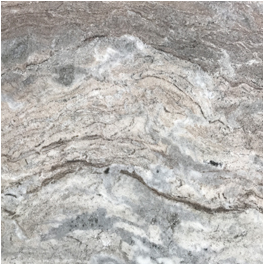 Marble bathroom countertops in Atlanta are products of natural stone, limestone, which was made through a superheating process. 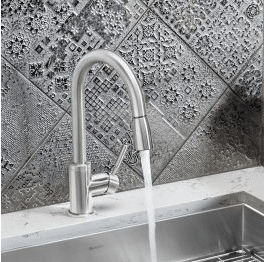 They are the way to go to add aesthetics, class, and style to your bathroom. Marble vanity tops are extremely strong and beautiful and enhance the appeal of the bathroom. 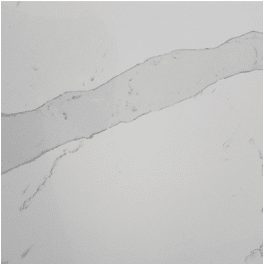 Architects, builders, interior decoration specialists, and homeowners find marble countertops for a bathroom the perfect piece of art to improve the aesthetics and the resell value of any property. So, they are suitable for residential and commercial properties. Besides, marble vanity tops offer diverse benefits to both property and owners. 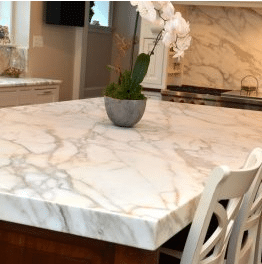 Why Use Marble Bathroom Countertops in Atlanta? 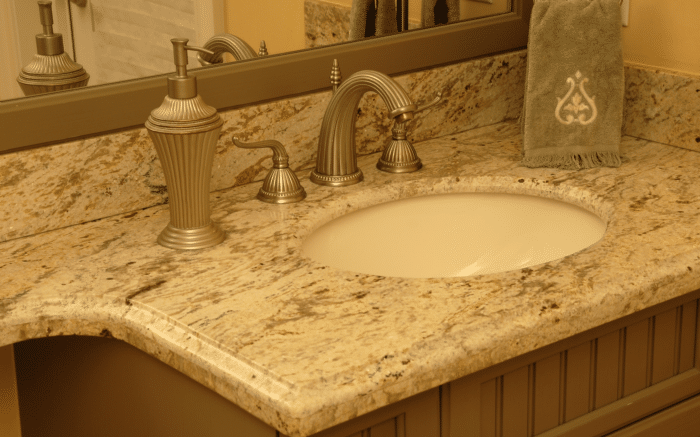 Over the years, marble vanity tops have remained one of the highest used bathroom countertops. They are exquisite and appealing, transforming the bathroom into a focus of attention and improving the bathroom’s overall aesthetics. So, marble bathroom countertops Atlanta make the bathroom a great room to start the day. The sleek and smooth surface with multifarious patterns and colors of marble vanity tops make them naturally adaptable to any existing décor. They are available in colors such as white, black, pink, blue, gray, and purple. 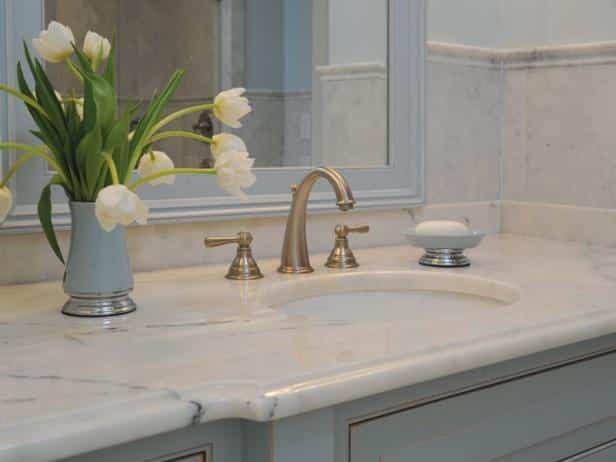 So, without stress, marble vanity tops blend with the overall bathroom décor. 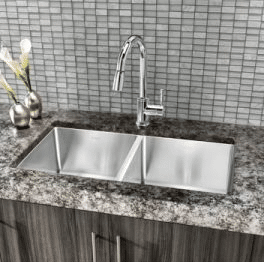 Marble bathroom countertops Atlanta are super strong and resistant to water; so, there is nothing to fear because of water that will be used in the bathroom – marble vanity tops will not get damaged. Besides, marble vanity tops make your bathroom more usable without fear or worries. 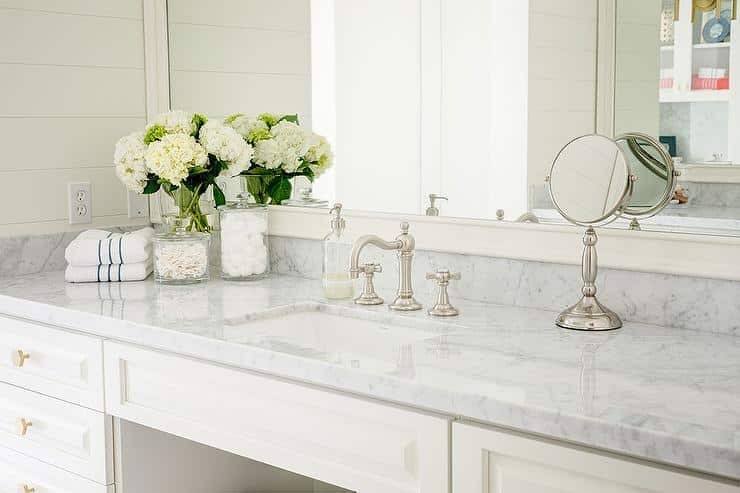 Marble vanity tops are bathroom countertops that never go out of trend, they keep their shine and appeal for a long time, regardless of years they have been installed. So, they are a piece that adds timeless class and luxury to your bathroom. Transform your bathroom into one of the amazing bathrooms you see in movies and magazines. Properties that have marble bathroom countertops in Atlanta installed have a higher resell value than properties without marble vanity tops. The best way to increase the worth of your property in Atlanta is to install marble countertops. Do you want to enhance the aesthetics and functionality of bathroom? Are you searching for the company that offers a good value for money with regard to marble vanity tops? Contact Art Stone Granite and Marble at https://artstoneatlanta.com/ today. 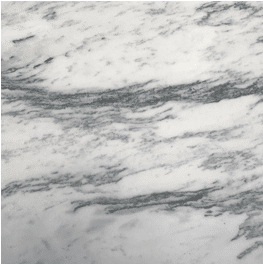 We offer high-quality marble bathroom countertops Atlanta at factory direct prices. You can trust us for high-quality craftsmanship from design to fabrication and installation. At Art Stone Granite and Marble, your satisfaction is our priority.